We manufacture and install bespoke fireplaces. We design fireplaces to clients requirements in marble and limestone in a range of colours. Eamonn Hughes is a 3rd generation family business steeped in the tradition of stone carving. Along with traditional skills we have invested in the most modern machines, which allow us to manufacture one-off products to the highest standards at competitive prices. We cover a wide range of products including the following Fireplace Manufacturers, Granite Worktops for Kitchens & Bathrooms Memorials, Headstones, Gas Fires & Stove, Marble Vanity Units, Architectural Stone and Marble Stairs. 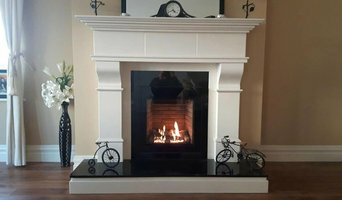 Wren Fireplaces Marble and Granite Works, has extensive showrooms and manufacturing facilities in Newbridge Industrial Estate, Newbridge, Co. Kildare. Established in 1979 they are highly regarded within the marketplace for quality products and excellent service. A thorough attention to detail, faultless delivery of quality products, superior workmanship and dedicated customer service are the hallmarks of the company. Wrens has an excellent record in the fabrication of kitchen worktops, window cills, interior cladding, vanity units, consol tables, breakfast bars, reception desks, granite door steps, marble stairs and much more. Wrens manufacture worktops in a wide range of top quality granite, quartz, Silestone and marble sourced from countries all over the world. Their manufacturing facilities are equipped with the state of the art automated machinery to ensure a flawless and timely output of your stunning worktop. The process is carefully overseen by experience personnel from template to installation using the highest quality materials available and complying with best practices at all stages. Wrens have extensive experience (since 1979) in manufacturing and fitting fireplaces, supplying and retro fitting stoves into existing fireplaces. Customised and bespoke solutions are also available. The installation team are HETAS trained and highly experienced. Ballymount Fireplaces is a family business based a short distance from the Dublin City centre in Ballymount. We have the largest range of quality fireplaces in Dublin and serve customers across Ireland. We provide customers in Ireland with a wide selection of fireplaces and stoves from big name manufactures such as Aarrow & Bell Fires to to bespoke products that are made to order. Customers can view our selection of quality fireplaces and stoves online or in one of our two showrooms in Ballymount, Dublin. 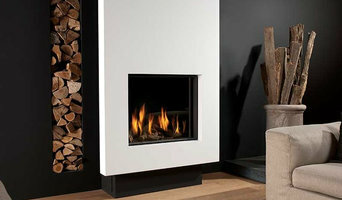 We provide a range of quality fireplaces for customers to choose from. Our expert team can help customers every step of the way to finding the fireplace or stove that is right for them. On top of a large selection we will carry out a site inspection and installation for each customer to make the buying process as simple as possible. Lamartine Fireplaces, Fires and Stoves were established in 1982 and is renowned as one of Ireland's leading fireplace companies. Lamartine Fireplaces, Fires and Stoves is located on the Ballymount Road where we have both a showroom and manufacturing facility. 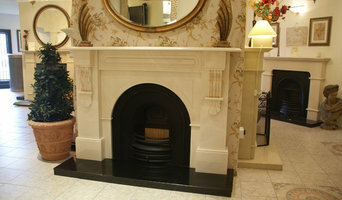 Our showroom was renovated in 2012 and we have over 100 fireplaces and 50 fires or stoves on working display. With many years experience we offer you the most energy efficient and reliable heating appliances on the market. We specialise in contemporary high-efficiency insert fires and free-standing stoves where both the heating performance and the visual aspect of the appliance are of equal importance. These appliances are available in Multi-Fuel, Wood-Burning and Gas Burning formats. Whether you are building your dream home or upgrading an existing property we are happy to work with you from initial design and concept through to project completion. We offer in-depth product knowledge and access to experienced HETAS trained and certified installers. Browse this website for ideas and do not hesitate to contact us for more information or visit our showroom to view working models. With over 15 years experience in the Irish market we offer a reliable, professional and extensive service. We specialise in chimneys, fireplaces and stove installation. Welcome to O’Keeffes Heating and Energy Centre - a family run business located in Rathmore Co. Kerry. Established in 1909, we have been involved in the heating and energy business in Kerry and surrounding counties ever since. With over 100 years experience behind us you can be assured that we will provide you with quality products and a quality service. Our team in Rathmore is up-to-date with the latest developments in the domestic heating sector and energy sector so you can draw on their expert knowledge and advice for all your stoves and heating and requirements. Affiliated with the Homevalue Hardware Group and also a Branded Oil Distributor of Esso, we can provide you with a “one stop shop” for all your heating, energy, hardware and building needs. Ireland's Leading Online Fireplace Retailer. Family business operating since 1970 based in Dublin supplying feature radiators, fireplaces, stoves & fires for gas, electric & solid fuel - also specialising in chimney solutions. All Star Heating is an online retailer based in Mayo. We supply High Quality Eco Stoves, Pellet Stoves, Traditional Stoves, Eco Fuel and Fireplaces throughout Ireland with Free Nationwide delivery. We can also recommend HETAS approved installers. All our Stoves are CE certified and are Irish designed- made to top European Standards. The Wilkinstown based business has been in operation for two decades now and in that time has established its reputation as being First Class in name and in nature. Stocking only the highest end products from the top suppliers in the trade, First Class Fireplaces are known for their quality products and dependable service. We are a family run business for over 30 years. We supply and installation fireplaces and stoves. All our installers are fully Hetas trained which is essential when installing Flues to meet the requirements of building regulations/house insurance. We also offer alot of extra items like stone cladding, Timber Beams or Stove accessories. We cover a wide area of Leinster including Meath, Dublin, Wicklow, Kildare, Louth, Monaghan, Cavan, West Meath and Longford. 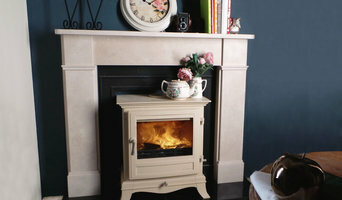 If its a freestanding stove in a chamber or a picture frame stove on a cladded wall we can offer you that service. Some fuels burn more efficiently than others in certain conditions. But it is also about the ambience that different fireplaces and stoves can create. If your chimney is functioning and the flue is in good working order then you might prefer a traditional wood-burning stove, log-burning stove or Victorian fireplace for your period property or cottage. Combined with a marble or stone fire surround, the latter will add a rarified sense of grandeur to any dining room or lounge, but it does take a while to get going. Ventilation is also an important consideration, as is practicality. You’ll be clearing away ash on a regular basis. First thing’s first though: check with your authority to see if you live in a Smoke Control Area – fireplace installation specialists may also know this. Compact freestanding stoves, either multi-fuel, gas, oil or electric, have become very popular in recent years as homeowners try to rekindle the open-fire romance of yesteryear. But if efficiency, lower energy bills and fuss-free heating are more important, a gas fire scores highly, particularly the flueless gas fire variety, which draws waste gases out through a duct. You will also have much better control of the temperature. That said, the gold standard of sustainable heating and performance is the bioethanol fireplace – smoke-free, odourless and not a speck of ash to be seen. Meanwhile, fans of sleek and minimal design will melt away at the sight of a hole in the wall gas fire. These preserve valuable floor space, will comfortably heat a small living room and come in a variety of beguiling forms – a fire ribbon row of flames, a fire bowl or fire basket with pebbles. It’s like magic. Ask your fireplace installation expert or local showroom to show you all of the different types so you can clearly see the difference. When considering your options, talk with your fireplace installation specialist about the size of area you wish to heat, the current sources of heat (such as central heating), potential heat loss (through windows, for example) and degree of insulation. If your home is modern or well insulated it probably makes sense to choose a fireplace, fire or stove that works efficiently on a low setting to avoid over heating! 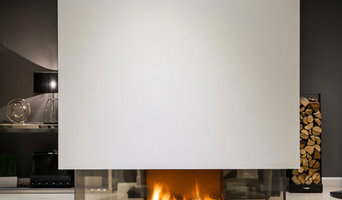 Where can I find the best fireplaces, specialist fireplace showrooms and fireplace installation? Search on Houzz for fireplace experts and showrooms in the Find a Pro category and then start collecting your favourite images in an Ideabook. Contact your preferred company for a free consultation in their showroom or at home. Many will be able to offer a comprehensive service, from consultation and bespoke design to installation and aftercare. Don’t run straight to the cheapest. Build up your knowledge and balance price with quality of design and service. Search for fireplace showrooms and specialists that offer fireplace installation on Houzz and see past projects, photos and reviews in order to find the best fireplace and professional.